The rebate is $0.50 per sq. ft., no matter what quantity is purchased. This is valid on all hardwood floors listed in the 2019 Mirage product chart and on the Mirage website regardless of species, color, or width. Valid at participating dealers in USA and Canada excluding Quebec. Participating dealers are identified as such beside their store name on our dealer locator. To receive your cash back, please fill out the following form online. This form must be completed by the person who purchased the floor. IMPORTANT: No handwritten or incomplete form will be accepted or processed. 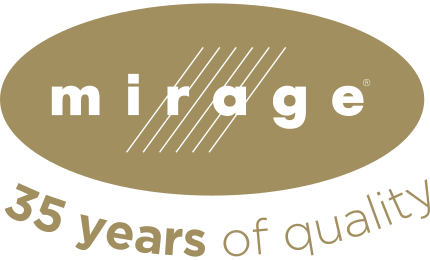 To be eligible, products must be sold through an authorized Mirage dealer participating in the Mirage Spring 2019 Rebate Sale and located in Canada or United States. A participating dealer is identified as such on the Mirage Website dealer locator. † In Canada, sales taxes are included in the refund amount (ON, NB, NS, PEI, NL = GST/HST, all other provinces = GST). Claims must be postmarked or date stamped no later than June 22, 2019. Allow 12 weeks after the end of the Mirage Sale for your payment to be processed. In the section below, please enter the product number (SKU #). You will find this information on your dealer invoice's or click on the question mark (?) to know how to locate this information on the Mirage floor boxes. You can also type the species and/or color in the search box to find the product number (SKU#) of your purchase. I agree to be informed about new Mirage products, special offers and contests by email, from time to time. Yes, I have read and agree the rules. If we may be of further assistance, please contact us at : promotions@miragefloors.com or 1 800-463-1303. Your claim form was filled out properly. You should have received a confirmation email containing detailed instructions to complete the process. Please check your emails. Thank you! Flooring must be purchased between March 18 to May 11, 2019, at 11:59 p.m.(EST). 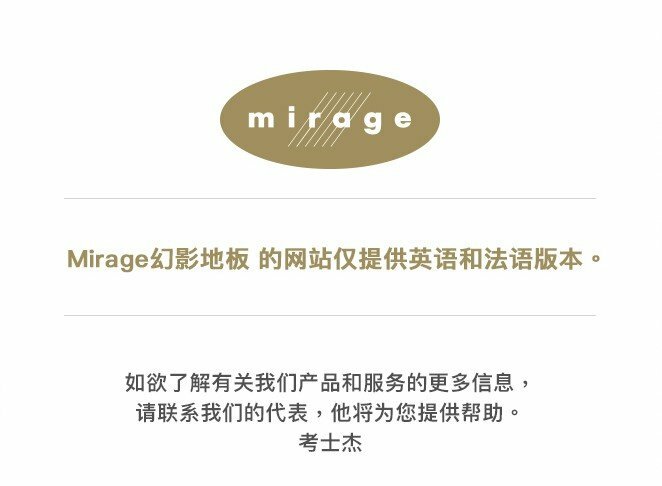 If we may be of further assistance, please contact us at e-marketing@miragefloors.com or call 1 800 463-1303 with your claim number . The rebate is $0.50 per sq. ft., no matter what quantity is purchased. This is valid on all hardwood floors listed in the 2019 Mirage product chart and on the Mirage website regardless of species, color, or width. Flooring must be purchased between March 18 and May 11, 2019, at 11:59 p.m. (EST). Claims and supporting documentation sent by email or regular mail must be postmarked or date stamped no later than June 22, 2019. Canada (except Quebec province) and United States. Standard hardwood floors listed in the 2019 Mirage product chart and on the Mirage website are eligible for this promotional event. Accessory sales are not eligible. The rebate does not apply to products that have not been paid for in full or returned. Boa-Franc prohibits the sale of its flooring via the internet. Therefore, claims resulting from internet sales are not eligible. To be eligible, products must be sold through an authorized Mirage Maestro Dealer participating in the Mirage Spring 2019 Rebate Sale and located in Canada (except Quebec province) and United States. A participating dealer is identified as such on the Mirage Website dealer locator during the promotion time frame. The promotional event applies to residential sales only (retail sales). This promotion cannot be combined with any other offer or to product sold at special pricing from Mirage (model homes, special project pricing, special programs). Checks will not be issued to a company name but to the homeowner who purchased the floor. Customers must go to www.miragefloors.com/rebate to obtain the rebate claim form or the claim will be rejected. The information will then be reviewed to confirm eligibility. Customers must attach a copy of the final invoice from a participating dealer to the form. Invoices must be dated between March 18 and May 11, 2019. The claimant's name and address must appear on the final invoice. The mail-in rebate is non-transferable. Sales quotes, debit card and credit card slips, and bank statements are not eligible and will be refused. Claims not backed by sufficient and complete billing information will be considered invalid. Claim forms and supporting documentation must be sent by email or regular mail and must be postmarked or date stamped no later June 22, 2019. Claims dated later will be refused. Envelopes that have not been prepaid by the customer will be refused, and those claims will be considered invalid. Refund cheques will be sent by mail 8 to 12 weeks after the end of the promotional event. Please note that no check will be issued until the Mirage floor has been shipped to the customer. Mirage/Boa-Franc G.P., hereinafter Mirage/Boa-Franc, or its designees reserve the right to audit any or all claims submitted for the promotional event and require additional supporting information from the claimant. The participant understands and accepts that Mirage/Boa-Franc will contact dealers to verify purchases. Dealer purchases of Mirage products may also be audited. Documentation with altered and/or fraudulent information will be null and void, and the responsible party will be disqualified from the program and subject to claim recovery by Mirage/Boa-Franc for fraudulently obtained funds. All submissions are subject to audit. Mirage/Boa-Franc is not responsible for lost, late, or incomplete claims or claims not received. Determination of eligibility of sales by Mirage/Boa-Franc is final. Information compiled by Mirage/Boa-Franc pursuant to the Mirage Spring 2019 Rebate Sale is kept confidential and is prohibited from being shared with any third parties. 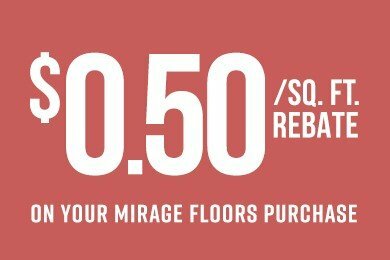 For questions about the Mirage Spring 2019 Rebate Sale, call the Mirage product manufacturer at 1 800 463-1303 or email us at . *In Canada, sales taxes are included in the refund amount (ON, NB, NS, PEI, NL = GST/HST, all other provinces = GST).